I pass through London Bridge area more or less every day. To avoid a dangerous junction, my route home involves cutting through Borough Market. 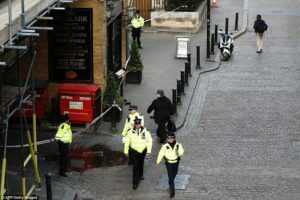 Earlier this month three lunatics drove a van into innocent pedestrians and proceeded to stab random passers by. Fortunately for me I was out of town that night. Many others weren’t so lucky. Several people lost their lives and many sustained brutal injuries. Every single person that made it to hospital survived (at the time of writing), testimony to the extraordinary skills of the emergency workers, hospital medical staff and brave members of the general public who intervened. Yet for many of these people (1 in 3), long after the news has lost interest in the these tragic events, long after the physical damage to the victims’ bodies have healed, the psychological impact will endure for many months, possibly even years from now. 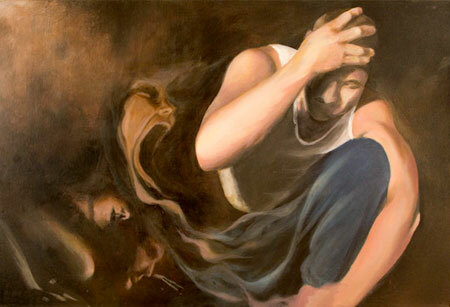 Post-Traumatic Stress Disorder (PTSD) affects about one in three people who are exposed to a traumatic incidents like car crashes, sexual assaults, muggings or robberies, natural disasters and witnessing violent deaths in any context. It is particularly prevalent in people serving in the armed forces, those working for the emergency services and anyone getting caught up in terrorist attacks. Experiencing violence can lead to a host of debilitating psychological symptoms known collectively as PTSD. 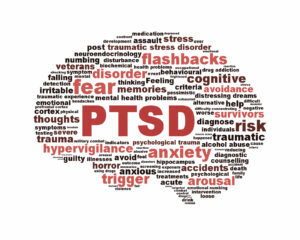 It can make leading a normal life difficult for those vulnerable to PTSD because harrowing memories of the frightening events can end up intruding into the experience of daily life. Over and over again, day and night, recollections of the horror force their way into conscious awareness in the form of flashbacks and nightmares. 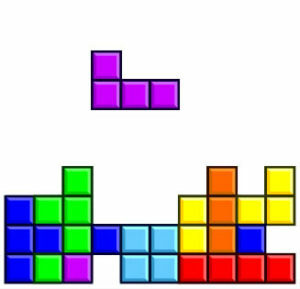 A relatively new body of evidence indicates that one of the best things those who witnessed the horrors of Sat 3rd June 2017 in London could have done in the immediate aftermath if they wanted to take some simple steps to reduce the likelihood of them developing PTSD was to immerse themselves in a marathon game of Tetris. Strange but true. The neurobiology of memory tells us that the six hours following a memorable event is absolutely critical to memory consolidation. In PTSD this consolidation process appears to go too far. Memories of immensely emotionally-disturbing events can become enhanced to the point where they are automatically recalled on a regular basis, regardless of where the person is or what they are doing. They usually are accompanied by the kind of intense feelings of fear, anxiety and distress that was experienced as the memories were being made. Constant intrusion of such memories and feelings can be incredibly disruptive to normal daily function. 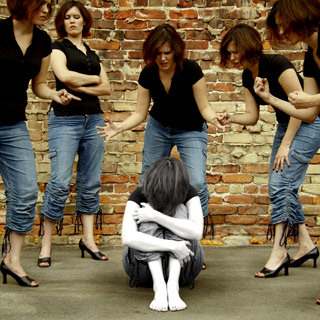 To make matters worse insomnia is common in people suffering with PTSD, which leaves them frazzled and irritable. Friends, family members and colleagues can have trouble grasping the full impact of PTSD on the sufferer’s daily experience and this can leave victims feeling of and isolated. Interventions to help those with PTSD do exist, but their effectiveness varies considerable from person to person. Ideally we would find a way to stop PTSD developing in the first place… prevention is, after all, better than cure. Enter Cambridge University’s Professor Emily Holmes. In 2009, she and her colleagues published a paper describing an elegant, ingenious, yet very straightforward approach to reducing the incidence of flashbacks after a traumatising event. Ultimately the aim was to develop a cognitive vaccine that could disrupt the processes that might otherwise lead to the development of PTSD. 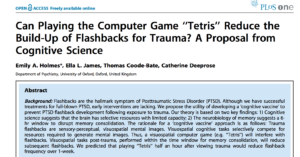 Their study found that those who played Tetris for 20 mins or so shortly after watching a traumatic film depicting real people enduring tremendous suffering, experienced fewer flashbacks in the weeks that following than the control group who performed a different task in the aftermath. In 2017, Prof Holmes and her colleagues went on to publish another paper, in the journal Molecular Psychiatry, describing a pilot study performed NOT with student volunteers in the context of a laboratory experiment, but instead with emergency workers and medical staff in the context of a real life Accident and Emergency department. Early results look promising: they found a reduction in traumatic flashbacks during the first week after the incident and concluded that a larger study would be warranted. This should garner sufficient statistical power to establish whether or not these benefits extend to longer periods of time. Personally, the current data has convinced me that, should I ever be unfortunate enough to get caught up in one of these horrific terrorist attacks, shortly afterwards (assuming I survived) you’d find me playing Tetris on my smartphone in an effort to keep PTSD at bay. This week, I’m supporting UK research charity Autistica who are launching a campaign to support their work in mental health in autism. They’re funding science to discover the treatments and interventions that can help autistic people to live happier lives. Mental health problems have a devastating effect in autistic people and the problems start early. 70% of children with autism have a mental health problem and 79% of autistic adults will have a mental health problem (this link gives access to full published research paper) e.g. bipolar disorder, depression, anxiety, obsessive compulsive disorder, schizophrenia or ADHD at some point during adulthood. Autistic adults with no intellectual disability are over nine times more likely to kill themselves than the rest of us, with two thirds experiencing suicidal thoughts. The reasons are unknown but it’s suspected that a combination of environmental and genetic factors are the cause. They may be triggered by social exclusion, bullying and experiencing stigma; all of which are extremely common in autism. We are starting to know what mental health treatments are effective for people without autism but there has been very little research into mental health problems in autistic people. Currently there are no autism-specific treatments. When we think about the common lifelines for the general population – talking therapies, or even helplines, you can understand that for those with autism – by its very nature a communication disorder – we will need to approach intervention very differently. There are a number of approaches that may help, but they all need further investigation. Mental health has taken a back seat in autism yet, in a recent consultation, individuals and families reported that mental health problems are the biggest challenge that they face day to day. They say that it’s not the autism itself that’s the problem, but the anxiety and depression that comes with it that stops them living life to the full. Autistica is funding groundbreaking work at the Institute of Psychiatry, Psychology and Neuroscience, looking for chemical imbalances in the brains of autistic individuals and developing a revolutionary digital tool to help people self-manage their anxiety. But they need support to be able to fund the work that so many desperately need. Autistica’s #LittleLifesaver campaign is being fronted by the one and only Ruby Wax. The charity is asking the public to take part online by sharing images on social media of that person, thing or place that helps get them (or their children) through the day – their #LittleLifesaver. Because sometimes it can be the smallest things that make the biggest difference. For me it’s roller skating, which explains the selfie at the top of this page! The campaign will run all week, so please join in any way you can. 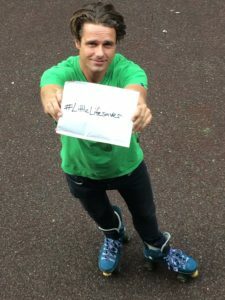 Autistica will be sharing stats and stories, so follow them (@AutisticaUK) and the hashtag #LittleLifesaver to keep up with the campaign. Support them to understand autism better so that we can give autistic people the chance to live the long, healthy and happy lives that they deserve. I wrote this blog in response to a request from one of my Twitter followers, so this is dedicated to her. If you would like to receive a pearl of brain wisdom each day you too can “follow” my NeuroTweets. Chronic pain is a very broad subject so this is NOT a comprehensive review. Rather I’ve tried to create a brief and accessible overview that might help people understand some of the basic principles of acute and chronic pain to arm them during further exploration of the subject. If you, or someone you know, suffers from chronic pain you may find a blog written by a consultant in pain management at St Thomas’s Hospital London. 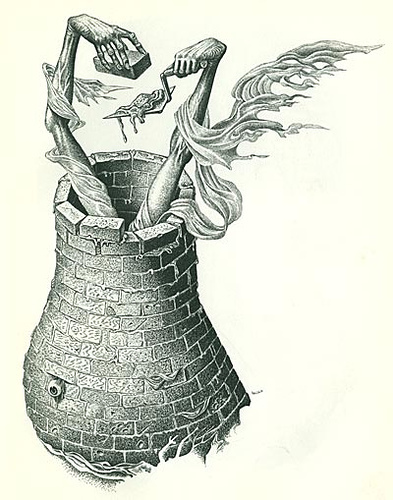 It describes the powerful psychological aspects of chronic pain which greatly compliments my explanation of the strictly physical/neurobiological aspects. A firm belief in any specific pain relieving therapy, even the esoteric ones, can harness the brain’s natural ability to suppress pain signals according to a strong expectation that the pain will subside. This is the famous “placebo effect” and my personal belief is that placebo is one of our best weapons against chronic pain. If an individual is utterly convinced that crystal healing, or alignment of the shakras, or a colourful sugar pill will make the pain go away these are all perfectly acceptable methods of inducing the brain to reduce the sensation of pain. Believe it or not, under normal circumstances, pain is a good thing. It alerts you to the location of objects in your environment that pose a threat to the health of your body. Pain provides an invaluable service by informing you that you are, for example, treading on a drawing pin or touching a scalding hot pan, thus giving you a chance to avoid damaging yourself. In fact, pain-sensing neurons are wired straight into motoneurons of the spinal cord to produce an automatic withdrawal reflex. This means that you can find yourself recoiling from the painful stimulus i.e. pulling your foot up away from the sharp object, or moving your hand away from the heat, before you are even aware of the pain. This reduces the time that the body part is in contact with the sharp or hot object to minimise the damage caused. If you are not quick enough and do end up hurting yourself, then the pain also serves a second purpose – reminding you to tread carefully / use your other hand, to avoid worsening the wound so that it can heal as quickly and thoroughly as possible. Damaged regions become hypersensitive i.e. 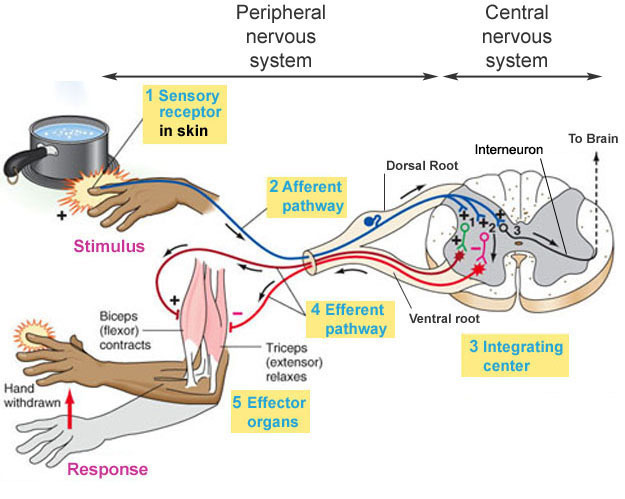 produce a painful response even to weak stimulation, as the inflammatory agents automatically released in response to tissue damage cause molecular changes within the nociceptors (pain receptors) to make them more sensitive. This may sound like a terrible idea, but it is actually very useful and highly adaptive as it encourages behaviours that protect the damaged body part from further injury. Everything I’ve described so far is acute pain where the sensation of pain lasts only as long as the threat of bodily damage is still present, or whilst the damaged body part is still healing. Every night acute pain helps to ensure that you wake up with your limbs in full working order. This is because at some point in the night most of us inevitably end up rolling over into an awkward sleeping position in which our body weight cuts off the blood supply to a limb. 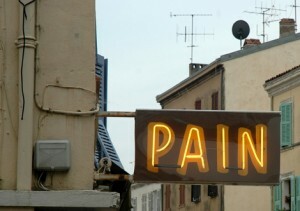 At first this results in the sensation of pins and needles, which after a while develops into the sensation of pain. The pain may wake us up so that we become consciously aware of our predicament, or more often simply causes us to roll over into a new position in our sleep to allow blood to flow back into the limb in question before any permanent damage is caused. Heroin addicts often walk with a limp. The reason for this boils down to the fact that the substance they are addicted to is a highly purified form of the best pain killer known to man – the opiates. They inject heroin to get the desired high but also render themselves insensitive to pain. Like the rest of us, when they fall asleep, they may end up assuming an awkward sleeping position, cutting off the blood supply to an arm or leg. Unlike the rest of us, the sensation of pain is not generated in the brain, and so there is no signal compelling them to move into a different sleeping position. With no supply of oxygen / glucose and no removal of waste products of metabolism for several hours the tissue within literally starts to die. 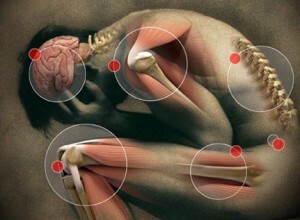 Chronic pain differs from acute pain in that it persists beyond the period of time that an injury usually needs to heal. It can be caused by a wide variety of different mechanisms. For instance, chronic pain can be caused when inflammatory agents that make nociceptors near to the damaged tissue more sensitive continue to be produced long after the injury in question has already healed. In this case anti-inflammatory agents can often do the trick. Neuropathic pain syndromes are a different matter and the treatment is not so straightforward. They are chronic pain disorders caused as a direct consequence of damage to the brain or by a disease of any part of the nociceptive system that normally a) detects painful stimuli (nociceptors), b) transport it into the spinal cord and/or c) conveys this message up the spinal cord to the brain. It is often very difficult to tell what the precise cause of the chronic pain is but the first part of the detective work involves establishing what kind of stimuli causes the pain and if the pain is constant then what makes it worse. A medical physician who specialises in pain management may assess this by gently pressing on the painful body area with a variety of instruments: stroking the area with a ball of cotton wool, a series of single tooth brush bristles that each bend after a certain amount of pressure has been applied, deep pressure to reach nociceptors deep under the skin’s surface, hot (45oC) and cold rollers (20oC) etc. This helps them to establish whether the pain is generated by stimuli that are usually not painful in healthy individuals – a condition known as allodynia, or whether it is heightened pain to stimuli that would normally cause some pain even in healthy individuals – hyperalgesia. Chronic pain may be caused by damage to the nerve fibres that carry pain messages from a certain body area into the spinal cord. These C-fibres are unusual as they DO NOT have the fatty myelin sheath that other nerve fibres in the body and brain are endowed with in order to make the electrical messages travel at a faster speed. 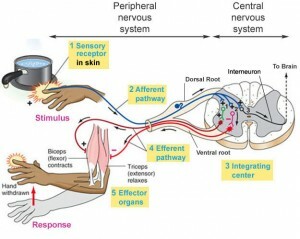 Injuries to nerves in the periphery (i.e. in a certain body part rather than in the spinal cord or brain) can cause neuropathic pain resulting from up-regulation of voltage-gated sodium channels in the wire-like axons of the C-fibres that carry the pain message to the spinal cord. 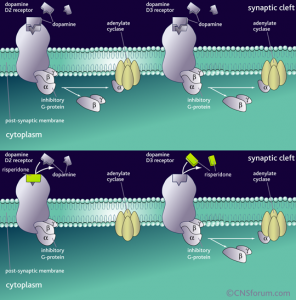 Voltage-gated sodium channels are special proteins embedded in the outer wall of ALL nerve fibres because they enable electrical signals to move along the axon toward the synapse. Every time one sodium channel opens, positively-charged sodium ions rush into the axon, changing the voltage, triggering the next sodium channel to open and so on. This domino effect continues until the electrical message reaches the synapse, where special communication molecules (neurotransmitters) cross the gap between brain cells, triggering a second neuron within the spinal cord to send electrical signals to pain-processing areas of the brain. Chronic pain can therefore result because the up-regulation of sodium channels causes spontaneous activity (i.e. electrical impulses not triggered by the pain receptors in body parts to which they are attached) which means the sensation of shooting pains is artificially generated by a fault on the line. It feels like the pain originates from the body area to which the damaged nerve is connected, whereas in actual fact that body part is in perfect health. There are various types of selective sodium channel blockers that may help to treat this type of chronic pain, however as with all drugs that influence the nervous system, side effects are likely as sodium channels of each type are distributed throughout the body and brain and all of them will be affected by the drug, not just those that are causing the painful sensations. Trigeminal neuralgia is a type of chronic pain affecting the head, face and neck that can sometimes be attributed to a blood vessel sitting tight right up against the trigeminal nerve. 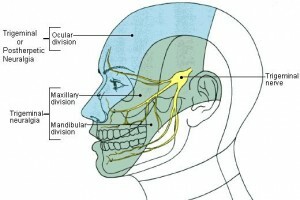 As the blood pulses through the vessel it can physically squeeze the adjacent trigeminal nerve triggering strange and often painful sensations in the head, face and neck. In a sense, the impingement of the blood vessel is another example of pain being caused by “a fault on the line”. 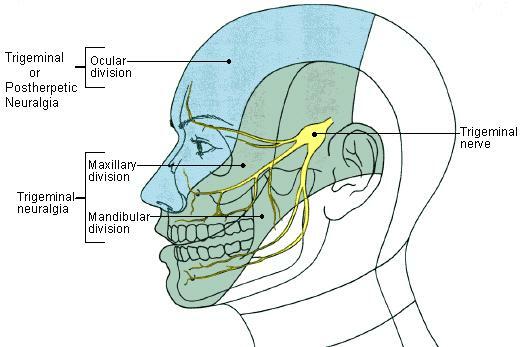 The nociceptors in the head, face and neck are functioning perfectly well, but as the hundreds of pain-relaying neuronal cables that connect the nociceptors converge en route to the brain, compression of this nerve results in feelings of pain in all these different body parts. If no other therapy has worked and brain scans reveal that a blood vessel touching the nerve IS the likely cause, then an operation to remove the offending artery can improve matters greatly. Complications are always possible during any operation, so surgery should always be sought only as a last resort. For a full explanation of treatment options, click here. The concept of a “Fault on the Line” being responsible for pain and discomfort in a certain body area is also fundamental to the philosophy of chiropractic care, but in this instance the location of the fault is the site at which nerve fibres enter the spinal cord. The spine is made up of many spinal bones, or vertebrae, all stacked one on top of the other separated by a cushioning disc. Hundreds of nerves, which are bundles of brain cell cabling, enter the left and right sides of the spinal cord through the gap between pairs of vertebrae to carry neuronal commands from the brain to the body and vice versa. The basic principle of chiropractic is that your posture reflects the alignment of these vertebrae and that misalignment of the vertebrae can place physical pressure on the nerves ferrying information in and out of the spinal cord. In particular, a postural examination can establish which vertebrae are neatly stacked one on top of the other and which are stacked at an angle. If they are all neatly stacked then it is likely that there is a large gap between each vertebrae through which the nerves can ferry their vital messages between body and brain without being impeded. If a person’s posture has been pushed out of line by a fall, an accident or endless hours stooping over a desk, then the gap through which the nerves pass into the spinal cord may have narrowed by misalignment of the vertebrae, impinging upon the nerve and causing feelings of discomfort and pain, muscle weakness and a variety of other possible symptoms. Chiropractors correct these postural abnormalities with a variety of methods including orthopaedic supports in the shoes to get the hips level (most of us have one leg slightly longer than the other), spinal adjustments to loosen up and realign the vertebrae and exercises for patients to work on at home. Chiropractic treatment can be a costly business, and there is debate in some circles about the long term safety of high velocity spinal adjustments, but I for one have benefitted enormously after a terrible rugby injury to my back in my late teens which over 10 years later is still a source of chronic pain and limits me in my ability to participate in sports. However, with weekly maintenance at the chiropractor I play 5-a-side every Monday night, go to the gym twice a week and surf as often as possible. For more on chiropractic, click here. The brain is a very delicate piece of equipment, yet head impacts resulting from trips and slips, or sports like rugby or boxing, only rarely result in brain damage. This is all thanks to the clever design of the skull’s inner surface and the three-layered sack that envelopes and protects the brain – the meninges. The meninges act as a shock absorber, cushioning the brain against blows and holding the brain tissue firmly together (similar to the way a weightlifter’s belt prevents hernias by holding the gut in place during the lifting of heavy weights which exerts large and potentially harmful forces across the abdomen). Special grooves inside the skull spread the brain’s impact evenly against its inner surface – in order to help minimise the damage that would occur if all the force was focused upon one small area. 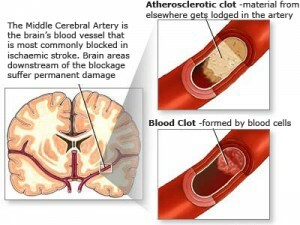 Although these design features help to protect the brain from the potential damage of most blows to the head, if blood flow to any area of the brain is interrupted for more than just a few seconds, then brain damage quickly follows. The brain is extremely energy demanding, using 20% of the blood that leaves the heart at rest, and a whopping 50% during intense mental exertion. 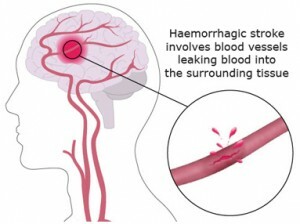 The requirement of a constant supply of freshly oxygenated blood to keep the highly energy demanding cells of the brain alive and firing on all cylinders means that blockages within the brain’s blood vessels (ischaemic stroke) or rips in the blood vessel that leak into the surrounding tissue (haemorrhagic stroke) can quickly lead to catastrophe. Different brain areas are responsible for different mental functions – a division of labour across different regions – and so the disabilities suffered by stroke and haemorrhage victims vary widely according to which brain areas are cut off from that vital supply of fresh blood. For instance, damage the left motor cortex – a strip of brain containing different parts that each control head, arm, body and leg muscles, respectively – and the right side of the body becomes paralysed. You are unable to talk properly, slurring your words and drooling out of the side of your mouth, due to loss of control over the muscles in one side of your face and mouth. The muscles of your right leg are locked in a state of permanent contraction, so you cannot walk and must be pushed around in a wheelchair. Similarly the muscles in your right arm have also gone into spasm so it curls up uselessly and often painfully against your chest. Mentally you are the same old you, but the slurred speech, inability to move around under your own volition etc creates a different impression. When friends and family visit they speak to your partner or carer not to you – judging a book by its cover. An incredibly inspirational man, whom I met whilst on a summer holiday on the south coast of England, suffered exactly this injury when the jack holding up a car he was working beneath collapsed, crushing the left side of his skull like an egg. Yet he refused to believe the numerous medical physicians who, in his words – “threw him on the rubbish heap” – by saying that he would never walk again and that there was no realistic hope of recovery. Undaunted by this hopeless prognosis, he researched extensively on the internet and found reams of rehabilitation exercises that enabled him, painstakingly, muscle-by-muscle, through hours and hours of dedicated practice, to retrain intact parts of his brain to take over the functions of the damaged areas. He even learned to play the 12-string sitar in the process and I distinctly remembering marvelling at the fact that, had he not told me his story, I would never have guessed as his recovery was so advanced, that he seemed completely normal to the outside world. He achieved this miraculous recovery, regaining the ability to function normally and completely independently, through sheer grit and determination. When he discovered that I was neuroscientist, he told me his story saying that, one day, he hoped I would be in a position to pass his story on to a wider audience so that others could benefit from his experience.